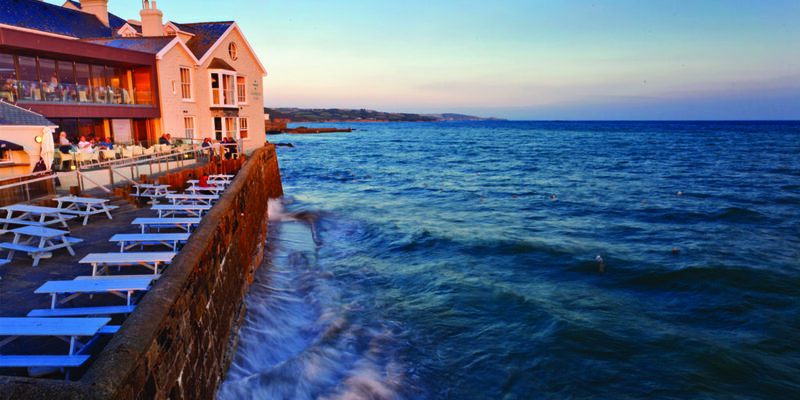 Situated in Marazion with breathtaking views over the iconic St Michael’s Mount, the Godolphin Arms is a treat for the eyes as well as the taste buds. Summer is a great time to visit here, with bright days and gorgeous orange sunsets stretching out over the bay, but a crisp, early spring evening is also a perfect time to visit. 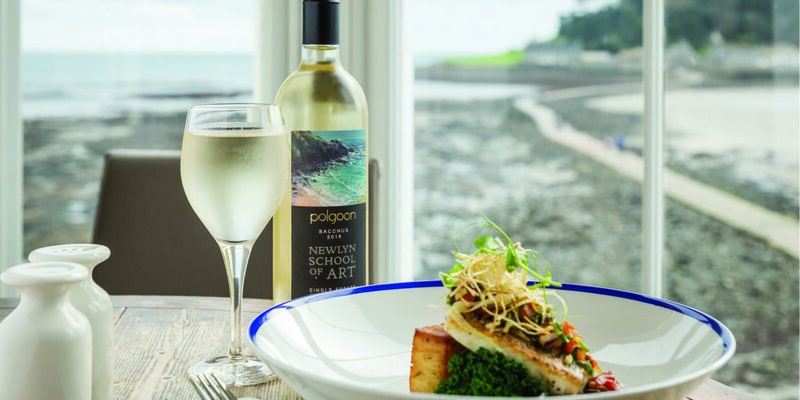 With a comfy, cosy atmosphere and warming, locally-sourced, feel-good food; the Godolphin stretches out its arms to welcome you in from the cold. Recently refurbished, this highly recommended restaurant is the perfect hideaway to sit and enjoy drinks with friends or settle down to a tantalising three-course meal; the latter is exactly what we did. Walking in from the cold spring air, we were instantly charmed. Hit with a comforting warmth as we pushed open the glass doors, we ascended the chunky wooden staircase and waited at the host stand. Warmly welcomed by both the hostess, and the waiting staff that we met along the way, we were promptly led to our table. We felt instantly relaxed as we settled in a corner next to a sash window over-looking the majestic, gently-lit mount. The menu was a test; everything sounded so delicious and brilliantly showcased the quality of local Cornish produce. 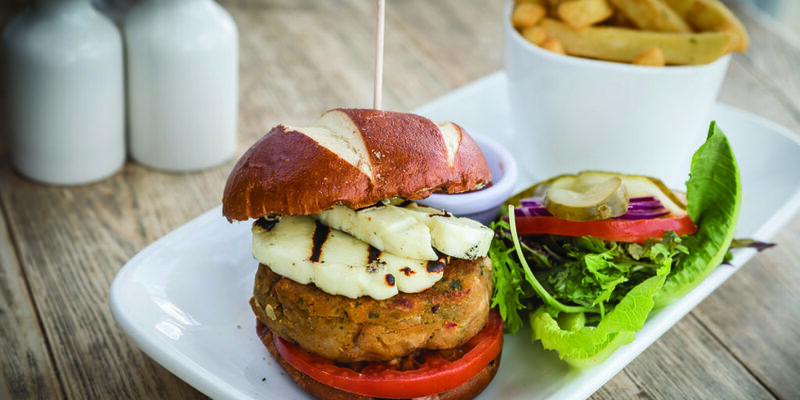 Dishes such as the seafood platter, pumpkin and cheese tagliatelle, mixed bean and curried lentil burger, classic fish and chips, seasonal boost salad and the tempting rib eye steak, not to mention the dishes listed on the specials menu. We deliberated for a long while before our waiter returned for the fourth time to take our order, when we had finally settled on what we would like to try. With glasses of crisp Pinot Grigio and local ale, Doom Bar, in hand, we sat cosily and admired our surroundings. Chatting between us we would often comment on details of the interior that we liked, such as the bold artwork, thick oak tables and subtle lighting. We lapped up the atmosphere, a mix of families and couples, all donning smiles as they chatted and tried each dish. A good sign that we were in for a treat. For our starters, I went for the salt and chilli fried calamari with wasabi mayonnaise and opposite me sat the Cornish beer-battered cod goujons. Both were gorgeous! The goujons especially were a hit; I must admit, one went missing from my partner’s plate when he wasn’t looking. To follow I was presented with a delightful board of locally-sourced mussels accompanied by slices of toasted ciabatta. The mussels were served in a stylish black enamel pot, the mouth-watering smell of the creamy white wine sauce hitting you as you lift the lid. My partner chose the signature homemade beef burger complemented by spiced tomato and onion chutney, the perfect winter warmer. Next was dessert. We waited about 20 minutes after finishing our mains, too full to contemplate anything else for a while. However, after being shown the tempting selection of sweets on the menu, we couldn’t say no. My partner decided to go for the seasonal, poached apple and sultana crumble and I chose the white chocolate baked Alaska from the specials menu. Neither disappointed. Spiced and sweet, the crumble hit exactly the right spot to face that spring sea air again and the baked Alaska was a light and smooth addition to the end of the meal. It was something I had been meaning to try for a while and I was very pleased that I did! With amazing food, a great atmosphere, beautiful décor and service to match, I have already recommended the Godolphin Arms to family and friends. This is definitely somewhere that we will be coming back to again and again. And I wouldn’t blame you if you did too! 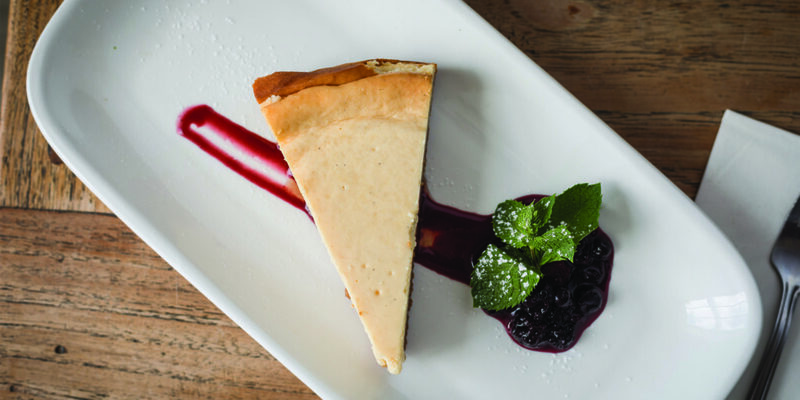 "The Godolphin Arms is a treat for the eyes as well as the taste buds."